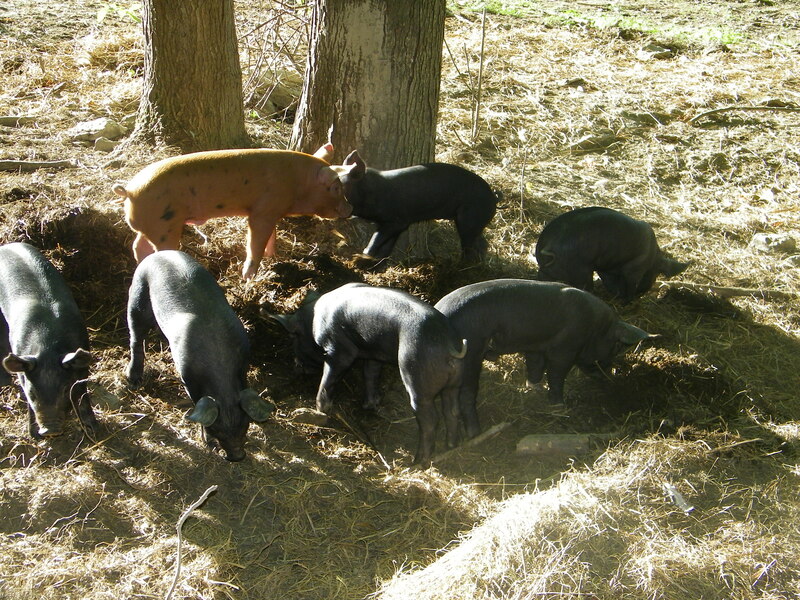 We began our experience with breeding pigs after much research and the purchase of a breeding pair from Sugar Mountain Farm in Northern Vermont in the Fall of 2014. Every time I researched a topic related to raising pigs Walter the owner of Sugar Mountain Farm popped up with all kinds of good, solid information. I decided if I was going to purchase and breed my own pigs they were coming from his farm! 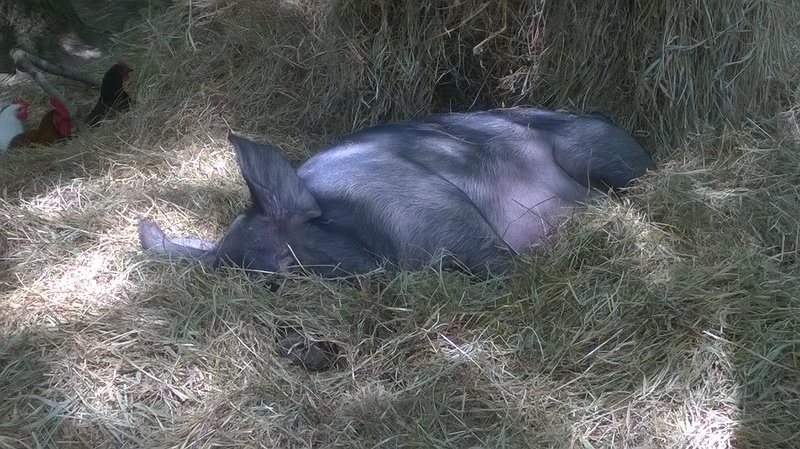 We continue to care for and breed (once a year) our sow Sally from Sugar Mountain. The outcome each year is roughly 10 surviving piglets. Sally giving birth to her first litter. 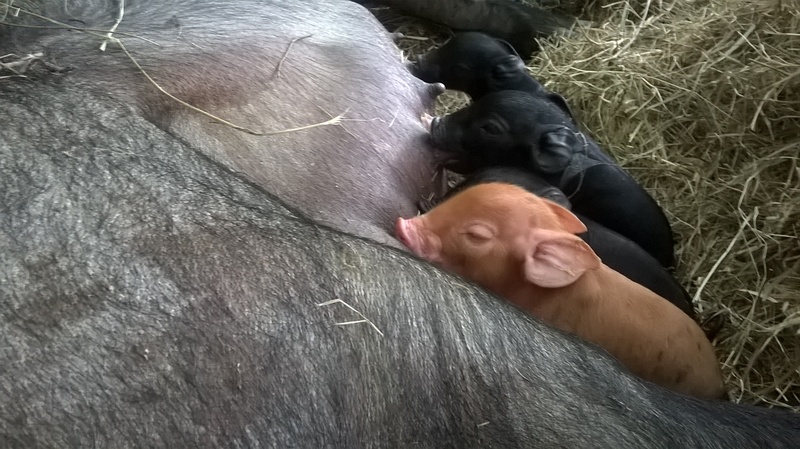 Here are the piglets getting the colostrum, which only lasts some hours not days like humans! They do often fight for the teats so feeding time can be a ruckus! We are just trying to figure out what we will do with all the piglets, we plan to keep at least 3 for us, perhaps more if we sell some live roasting pigs to customers, but we also will be selling these piglets at $150. We have 6 girls and 5 boys, we follow Walter’s lead here and will not castrate the males unless a customer requests it and it will be an additional $50. 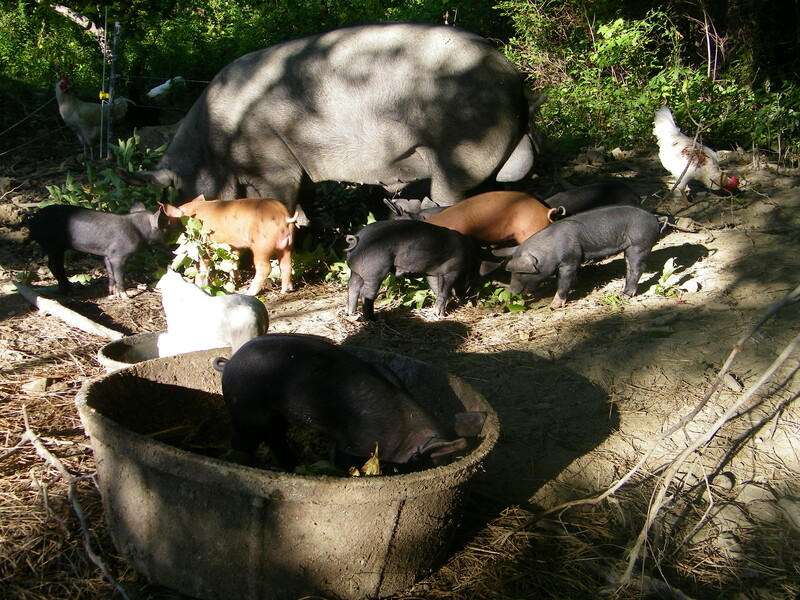 See our contact page if you would like to reserve a piglet, roaster or purchase some pastured pork. 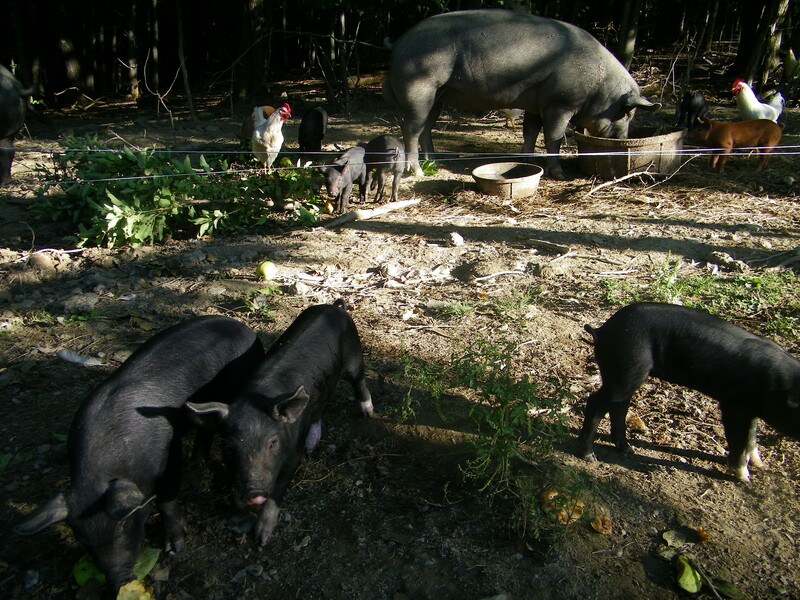 The pigs have a gentle nature, are used to a diverse diet which changes with the seasons right now they are enjoying supplemental apples and acorns. They also eat a bit of leaves and hay, this is something Walter bred for. We will be adding a dairy cow in the fall and the pigs will then receive skim milk and other by products of cheese and butter production. The pigs are all trained to electric lines and respect them unconditionally, they take a lot of coercing when it’s time to change paddocks and they have to cross the perimeter of their current paddock into a new area. They are really good pigs to raise especially for first timers, but we do recommend during the winter months to use hog panels or something similar as the deep freeze and snow in our region will ground out electric lines and once the ground is frozen and the cold settles in the pigs really just like to hunker down in a dry place with lots of bedding.